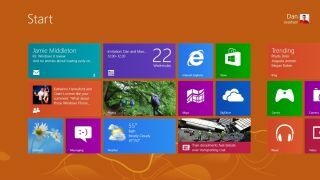 Even before a small business upgrades its PCs to take advantage of Windows 8, it's a good idea to run the set-up program. The utility will point out which areas of the PC's hardware need to be upgraded before optimisation can take place. With each version of Windows new drivers for each piece of hardware connected to the PC need to be checked for compatibility. Older drivers will not be optimised to use the latest features that the hardware has to offer. For Windows 8 to run in its optimised state, each PC's basic input/output system (BIOS) must have the DEP enabled. This prevents malicious code – often associated with malware – from running. Some older PCs may not have DEP, which will require a BIOS upgrade before Windows 8 will be optimised to run on that machine. Many businesses find that using a standard mouse and keyboard with Windows 8 is one way to optimise its usage – with touch reserved for consumer use of the operating system. 5. Upgrade or new PC? Small businesses looking to optimise their use of Windows 8 may conclude that purchasing a new PC with the operating system installed is a more cost-effective option than upgrading their existing hardware. Windows 8 needs at least a 1GHz processor, 1 GB of RAM (in 32-bit mode), 16 GB of hard disk space and a graphics card that supports DirectX 9 – Microsoft's collection of application programming interfaces - with a WDDM graphic driver. PCs that don't meet these minimum requirements may need to be replaced to ensure full optimisation. For Windows 8 to run at its optimum capacity it needs a PC that doesn't have any data bottlenecks. Defragmenting an older PC to ensure its hard drive is up to scratch is an essential first step. The built-in utility can perform this task, but third party applications such as Defraggler from Piriform do a much better job. Also, CCleaner is ideal to expand on the Disk Cleanup utility that Windows offers. Some vendors have made efforts to support their customers in ensuring that their installations run at their optimum capacity. Dell has been among them with Optimised Deployment Service Framework, which is designed to help customers reduce costs while improving performance. IDC says in a supporting white paper that: "The Dell Optimised Deployment can save up to 55% of the costs for deploying PCs. Further, since the process is based on robust, standardised tools, customer deployments are more consistent and are more likely to succeed."